"Deborah (Fawn) Studebaker LM, CPM | Specialty Care for Moms, Babies and Families for over 40 years"
When women are given a calm, peaceful space and encouragement to trust their bodies, they emerge from the process more self-assured and empowered. These women have a better bonding experience with their babies, making parenting flow more naturally for them. Having a homebirth is a safe alternative and wonderful way to ensure there is less intervention in a perfect environment. My goal is to provide empowering, supportive and safe Midwifery care to you and your family. I believe that through this process you and your family will be transformed in a way that will heal our earth, one birth at a time. Midwives are experts in low risk natural birth. We are trained to guard your space, keep you and your baby safe while allowing the process to happen the way it should. Women have been having homebirths and waterbirth for thousands of years. Women from all over the world have shared their stories of birth with each other. Grandmothers, mothers, sisters, and friends have supported and educated each other through the childbirth process. Over the years the stories have gone from positive and empowering to scary and very negative. More often than not, one hears birth stories full of sadness and disappointment. Women are frequently managed and over-medicated by people whom they barely know, who think they know what is best for them. They are forced to give birth in ways they never imagined. I am so happy you are thinking about alternative options for your labor and birth. I am so blessed to have been doing what I love most of my adult life. I have been given the gift of helping women for over 40 years and have witnessed the miracle of homebirth hundreds of times. Most were homebirths, many waterbirths, some in birth centers and some in the hospital. Call or email me. I would be happy to talk to you about the services I offer. Consultations are free. I am a mother and grandmother of six incredible kids. 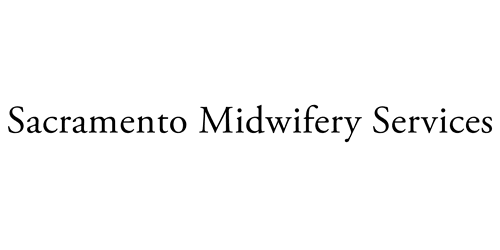 I am a california licensed midwife though the california medical board, as well as a certified professional midwife through the north american registry of midwives. I started my midwifery homebirth practice in san luis obispo. After twenty-five years in practice there, I moved to napa, california, where I practiced for another twelve years. I now live in sacramento and am looking forward to getting to know and working with the community. I began my journey as a midwife when I was pregnant with my second child. My first birth in the hospital had been both traumatic and disappointing. I wanted to have more control of my birth experience this time. I started researching homebirth and looking for midwives in my area. The closest midwife supporting homebirths was three hours away, but I was determined and decided to make the trip. After three or four visits, she asked me if I had ever thought about becoming a homebirth midwife. That question lit a spark within me. I was completely consumed. I couldn't think about anything else. I began attending midwifery classes and started apprenticing with my midwife within a few weeks, driving back and forth from san luis obispo to santa cruz for over three years. I also had the honor of attending births with a local doctor who believed that women possessed innate knowledge of how to give birth, and that most of the time, if we just left them alone and didn't intervene, they would give birth naturally without complications. I have attended over a thousand homebirths: some in birth centers, and some at the hospital. Through that experience, I have learned how important a woman's birth experience is. Having control, choosing where, how, and with whom she gives birth not only empowers a mother, but it increases her self-esteem and transforms her. It improves her bonding and attachment to her baby and family. It makes her a better parent and mother. Giving birth is like a drop of water falling in a large body of water: the ripples or effects will be felt for generations. My job as your midwife is to guide, educate, and support you. To help you make the best choices for you and your family. If you are transferred during labor or birth to the hospital, my job is to make that transition as smooth as possible. I will be with you through that process ensuring you are informed of your choices and help you to make the best decisions possible.